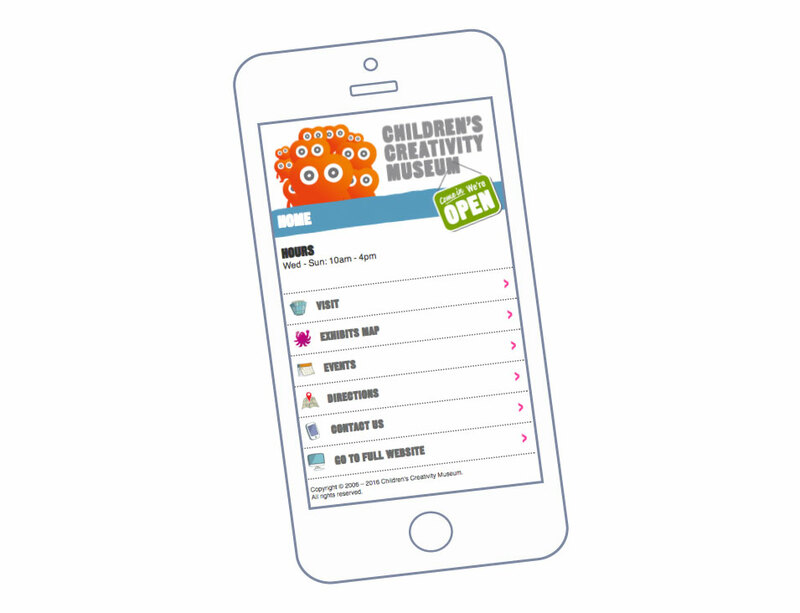 We just finished a web and mobile website for what used to be called Zeum — the supercool kids museum in San Francisco. They’re now the Children’s Creativity Museum and secured the fantastic web address of creativity.org. The new website works on multiple levels. First of all it looks sharp — if we say so ourselves. BKW’s Barak Kassar handled the creative direction — which took into account not just look and feel but also the museum’s strategic communications goals. BKW Creative Network members Alex Eben Meyer did the drawings and Simon Bucktrout handled the overall web design. Aaron Adiego turned the art into a working WordPress site. Dylan Thomas ran point on the project from start to finish. It was great to work with the museum’s Executive Director, Audrey Yamamoto, and Cathy Barragan and Joy Wong Daniels on the overall site — as well as all the other staffers we worked with to ensure the site worked for their own departmental needs. Big thanks to CCM board member Bill Rusitzky of Adobe for originally connecting us with Audrey — and putting us in the running to win the project. A key issue the museum had with their prior site was that it was hard for staff to update it easily. Exhibits change. Communication priorities change. They needed a site that they could change easily. So even though their site looks like no other site on the internet, when museum staffers login to their “admin panel” the site looks like any WordPress site. It’s very easy to manipulate and they don’t need to call up their web designers to make changes. They have a huge amount of freedom and control to work alone. Also key is analytics. The site uses standard Google Analytics and gives staff tremendous insight into how people find and navigate through their site. Using this data they can make informed choices about how to adjust their site over time. And they can do all of this alone if they wish. Or they can turn to outside resources. It’s up to them. The site also integrates into all the systems the museum was already using. They are able to capture and easily act-on requests that come in through the site. These requests — be they from parents, from potential interns, from potential partners — are all routed to the right department. Oh… almost forget. Here’s the mobile version. If you visit creativity.org on your phone this is what you’ll see automatically. If the museum is closed when you visit, the mobile site displays a “closed” sign.